Welcome to the land of flowers and blossoms! 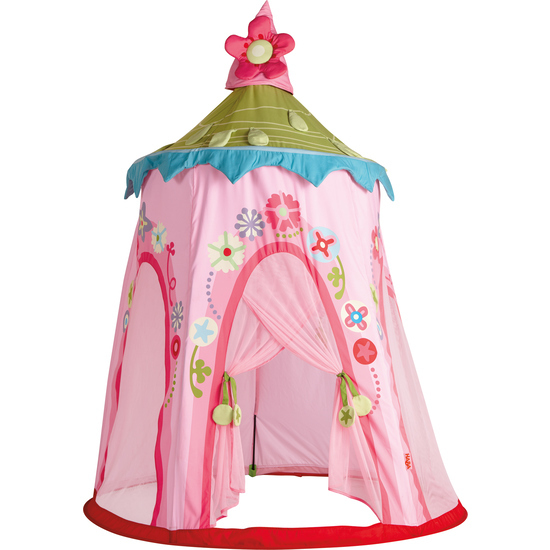 This play tent is the most charming home a pixie or a fairy can wish for. What a blissful place to play, look at books, hide away and dream! The tent can be completely folded down.